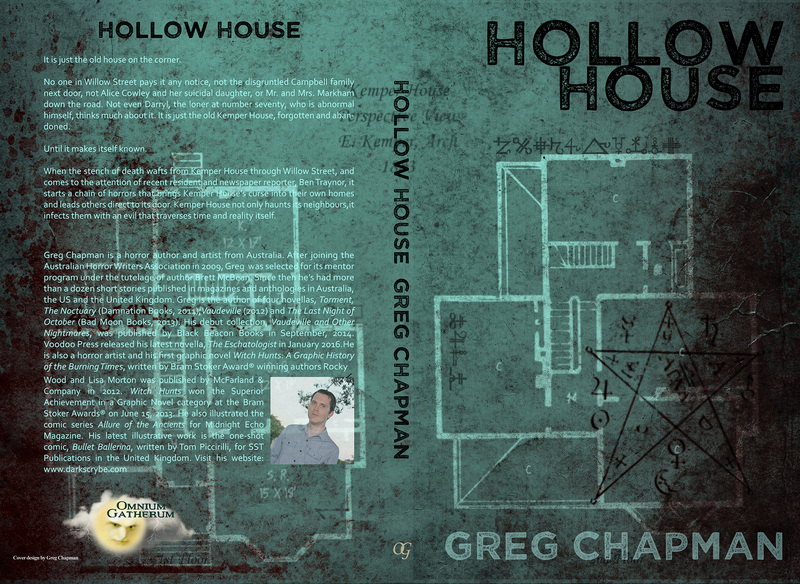 The plans for Hollow House have been unveiled with the release of the cover art for my debut novel! I put the wraparound art together with feedback from Omnium Gatherum publisher, Kate Jonez. We’re both really happy with how it turned out. It’s creepy and contemporary. Things are progressing really quickly with not just the cover art, but an advanced reader copy is expected to be ready for reviewers by the end of May. I’d very much like to thank my editor Janet J Holden, who has been working hard to finish off edits on the novel. I’ve also managed to entice three award-winning authors to read an ARC of the novel with the possibility of providing a testimonial. The very thought of this trio reading my book, let alone providing a blurb for it, makes me very nervous. As this will be my debut novel, I can’t help but worry, but with everything going so smoothly, I feel that a fair bit of good luck is on my side. Hollow House is expected to be published by Omnium Gatherum in paperback and digital formats in October. For more information, visit OG’s website. 1 Response to Hollow House cover reveal! So happy for you, Greg! That’s great news! Love the cover!